Welcome back, kids. This week we’re going slightly off trend and bringing tea into the mix. One of my favorite year-round beverages is a chai tea latte: steaming hot in the winter and over ice in the summer. The spicy tea with the creaminess of milk makes for a refreshing drink at any temperature, both for the drink and the weather. I figured I’d up the ante and try to bring it together in ice cream form to mix it up for summer. My first attempt I didn’t bother to condense the tea and although the taste was delicious, the texture was rather icy and not what I typically strive for. Take two: I simmered away much of the water from the tea, added it to my usual base, and voilà: deliciousness abound. Oregon Chai Concentrate is something I consider to be a staple, so that is what I used. (Pro tip, it’s hella cheaper at Costco.) I love that it comes in several flavors as well as decaffeinated and is super quick to prepare without sacrificing flavor. 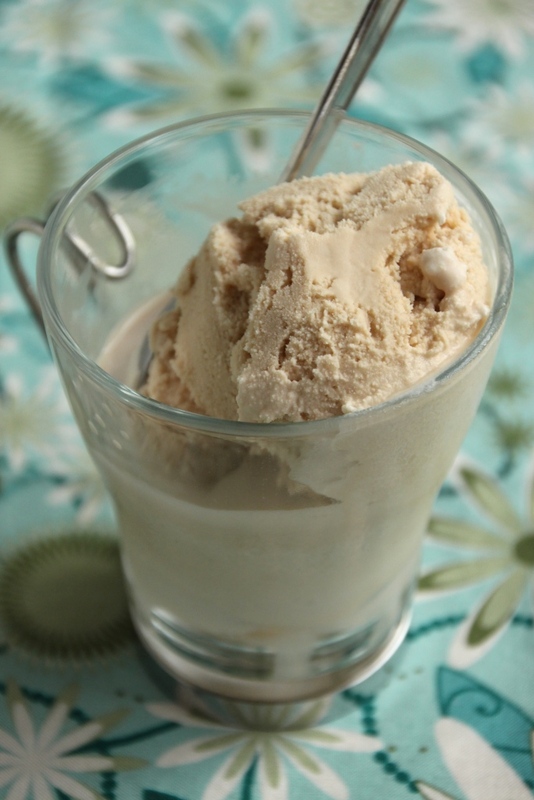 It blended beautifully into ice cream, that spicy flavor we know and love permeating a cold frozen treat. It is perhaps a bit icier in texture than plain vanilla, but no more so than last year’s Orange Creamsicle, and definitely still delightful. 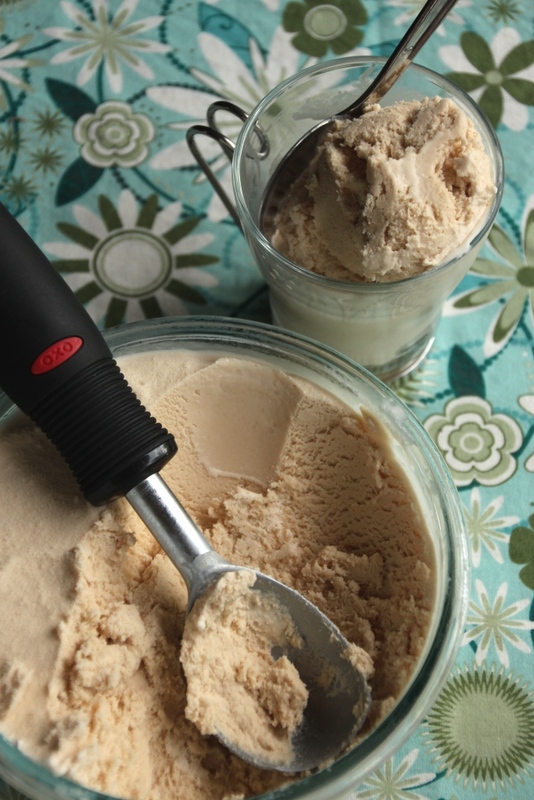 If you’re looking to step outside the usual peanut butter or chocolate or fruit concoctions found in the ice cream aisle, this may be the recipe for you. I hope you give it a try and let me know what you think! In a small saucepan, simmer tea concentrate over medium heat until it is reduced to about 1/2 – 3/4 cup in volume. Let cool while you prepare the base. In a large bowl, whisk together remaining ingredients. Slowly stream in condensed tea, whisking constantly.